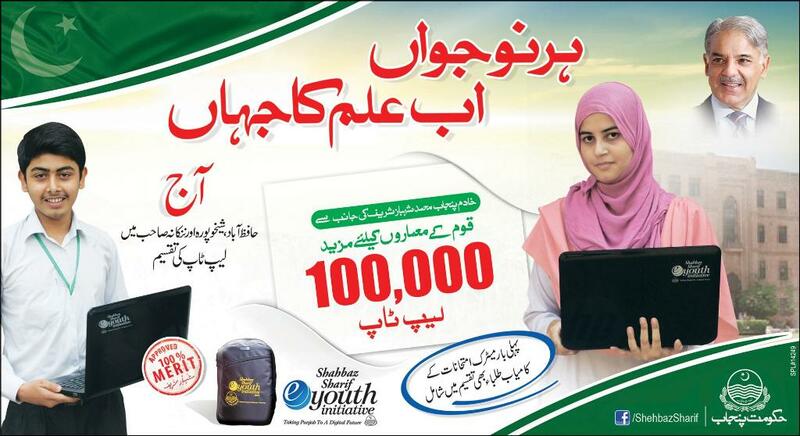 National saving of Pakistan is balloting the prize bond lucky draw complete list of Rs. 7500 in Faisalabad – 03 February, 2014 for our visitors on Biseworld.com. The Government State Bank of Pakistan organized the prize bonds draw scheme for the people in the Pakistan, every month in two times now the month of February 2014, Government announced the 7500 Rs. 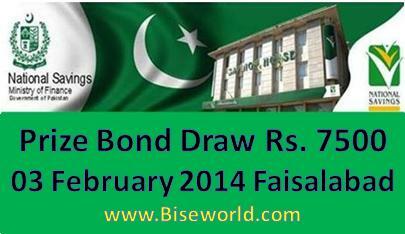 Prize Bond Draw Held in Faisalabad 03rd February, 2014. Everyone try to his luck for purchase the prize bonds and the some got the prize this is called the winners every prize bond have 3 big prizes, first prize of 7500 bond is 15,000,000 and the second prize is 5,000,000 and the 1696 each lucky winners are third prize is 93,000. 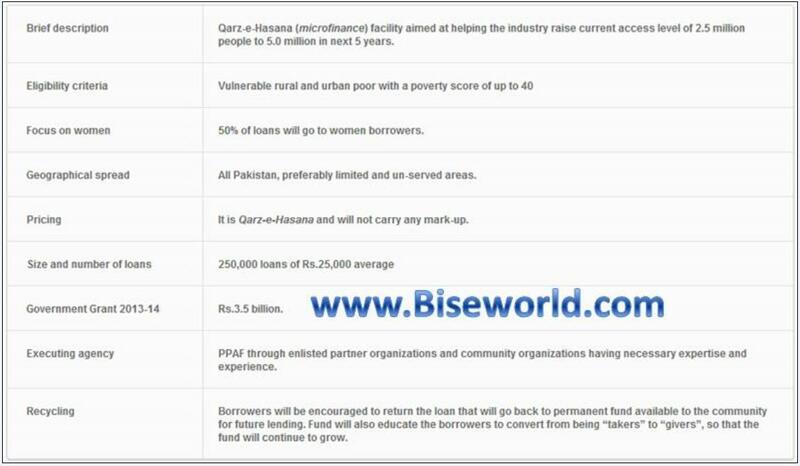 7500 Rupee Prize Bonds are one of the most sold prize bonds in Pakistan. This Draw No. 57 of Rs. 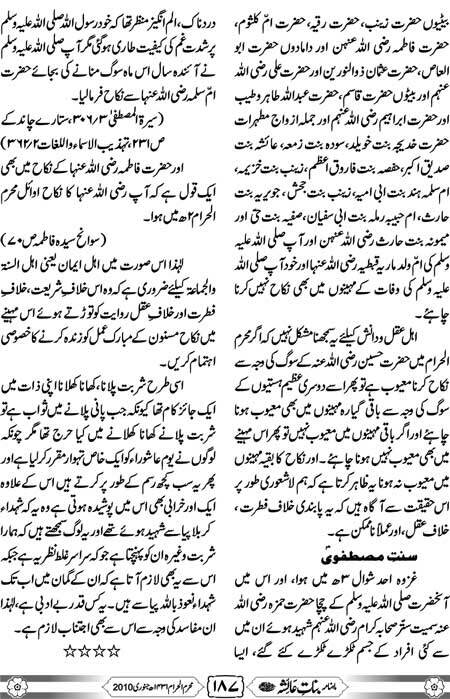 7500 prize was the prize bonds of this worth People but prize bonds and earns huge amount of money published by National Saving. Prize Bonds are an investment and a bearer type of security available in the denominations of Rs.200, Rs.750, Rs.1,500, Rs.7,500, Rs.15,000 and Rs.40,000 and now also available in the value of Rs 7500. These prize bonds are issued in series of alphabets & numbers each series has different alphabets and same number like other series. Each prize bonds series consist of one less than 1,000,000 bonds. In every prize bond draw I’ll try the complete bond draw result list as soon as possible uploads for the users on Biseworld.com. These numbers of prize bonds are similar for each series. Job holder, students, shopkeeper and house hold wives and marketers people from anywhere in the world can easily made investments in prize bonds. 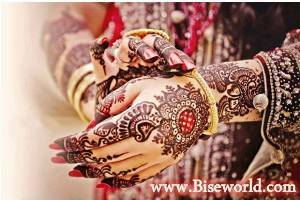 If you like my post then share, like and comments on Biseworld.com.